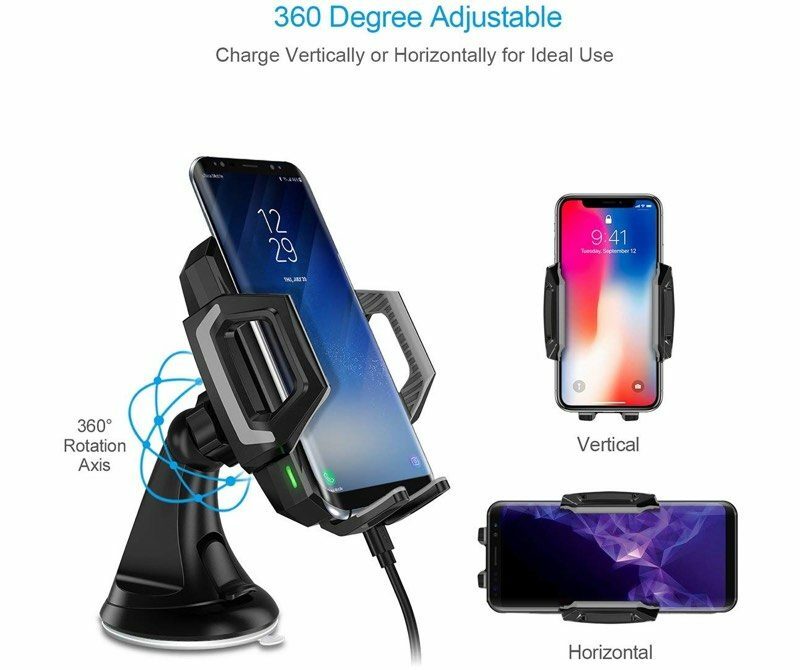 There are two expandable arms that can be adjusted to fit any iPhone or Android device (including in a case), while a rotating ball joint allows the smartphone to be placed in portrait or landscape orientation. An adjustable foot also holds the iPhone or another smartphone in the proper alignment for charging. Faster 7.5W charging is supported using a QC 2.0 to 3.0 adapter, which is not included in the purchase price, with 5W charging available using other adapters. Depending on a car's USB power output, 7.5W charging may not be supported. A USB-C port at the bottom provides power with the included USB-C to USB-A cable. 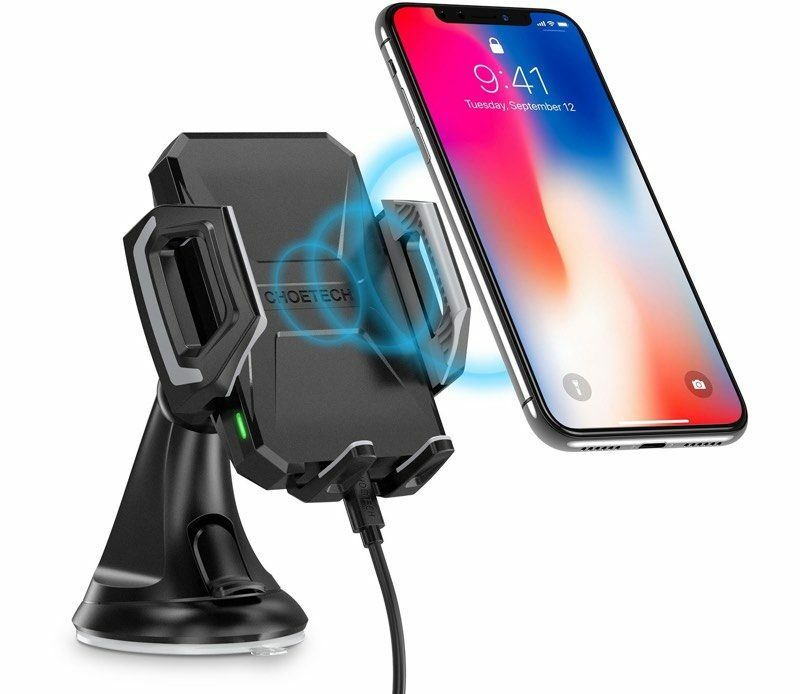 As with all Choetech wireless chargers, the Wireless Car Charging Mount features overheating, over-current, and over-voltage protection. 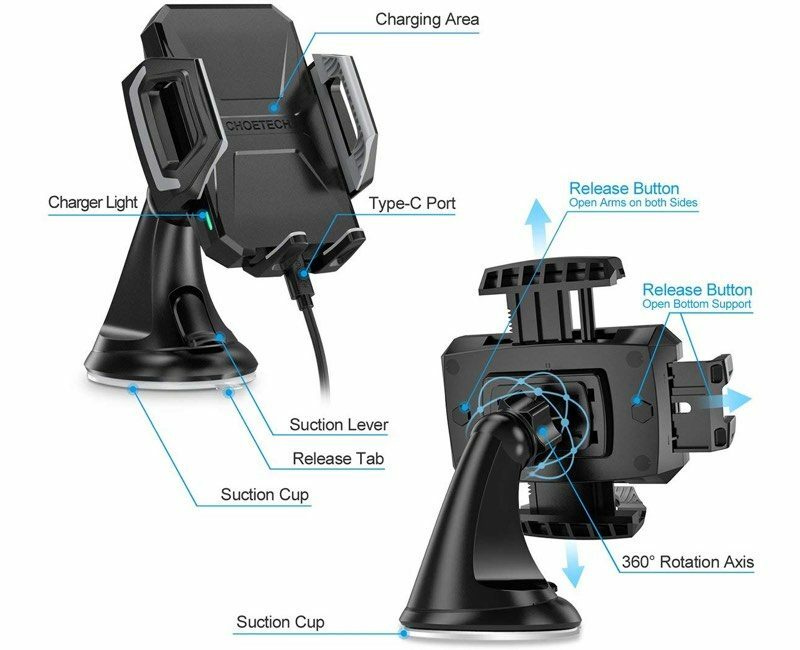 We have 20 of the Choetech Wireless Car Charging Mounts to give away. To enter to win, use the Rafflecopter widget below and enter an email address. Email addresses will be used solely for contact purposes to reach the winners and send the prizes. You can earn additional entries by subscribing to our weekly newsletter, subscribing to our YouTube channel, following us on Twitter, or visiting the MacRumors Facebook page. a Rafflecopter giveawayThe contest will run from today (August 17) at 11:00 a.m. Pacific Time through 11:00 a.m. Pacific Time on August 24. The winners will be chosen randomly on August 24 and will be contacted by email. The winners will have 48 hours to respond and provide a shipping address before new winners are chosen. This is silly. why not hide the plug and have it plug into the back. This looks like it is plugged into the phone.